Time for my AMA! 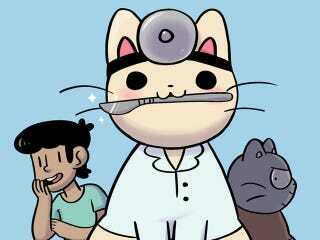 I'm a veterinarian, and I treat cats and dogs in general practice. I've also worked as an emergency vet. I can answer questions about health problems cats and dogs. You can ask me about other species too; if I don't know the answer I can probably look it up. And general questions about being/becoming a vet. General questions are preferred; if you ask a specific question about your own pet, I'll give some answers, but it'll probably end with "go see your vet." One thing I can't answer questions about is farm animal medicine. I learned about it in school but it's such a different world I just don't feel confident with it.